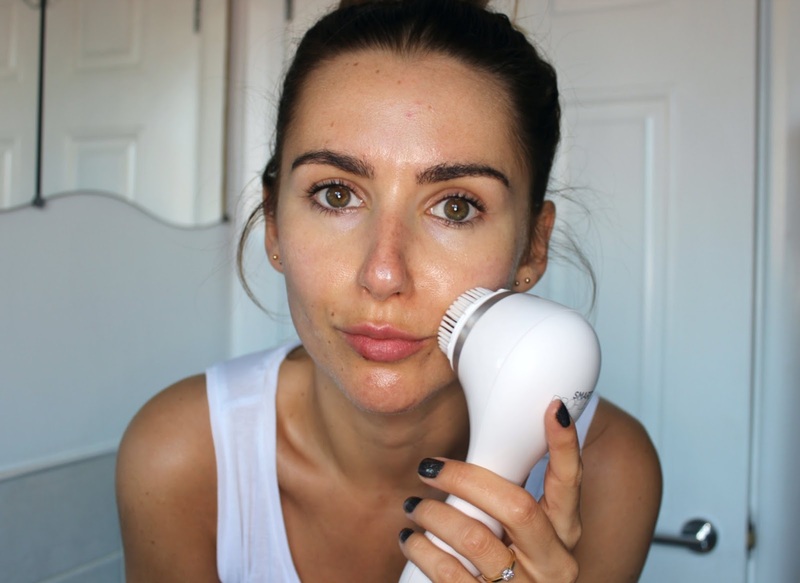 BEAUTY & LE CHIC: The Clarisonic: The Best Facial I’ve Had! The Clarisonic: The Best Facial I’ve Had! What's Sonic Cleansing all about? Apologies if you're already in the know, but I've seen these gadgets and gizmos about and never really understood what they do. In their most basic form, they're electronic face brushes that vibrate and rotate to give a deep, deep clean. 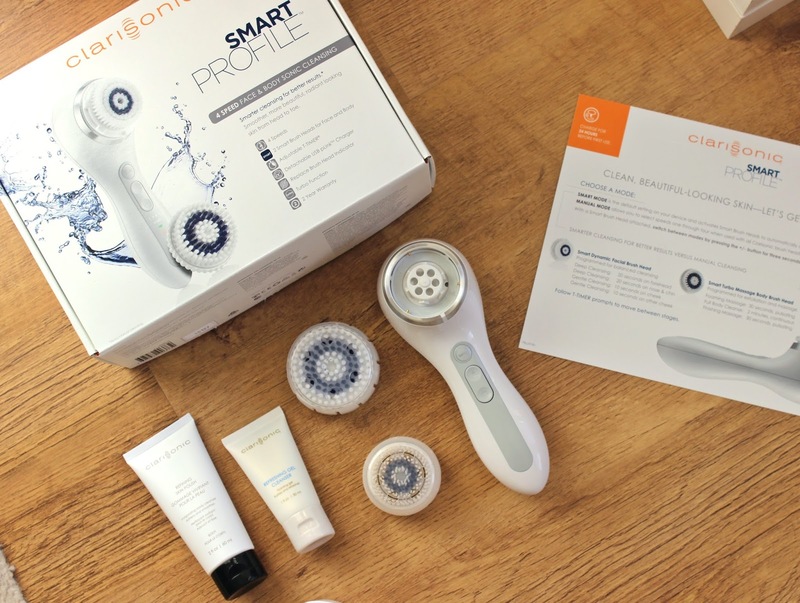 The Clarisonic Smart Profile is the Rolls Royce of the Sonic Cleansing World. It has a patented oscillation movement that moves the brush head back and forth between 200-300 times a second, yep a SECOND. The powerful turbo and smart, yet gentle brush heads clean skin and remove make up 11 times better than hands/cloths alone. In a nutshell, it’s the most deep cleaning cleanse you’ll ever experience… at home. What's makes the Smart profile, smart? Aside from the fact it's faster, cleans deeper and has an incredible battery life, the smart profile does all the work for you. Stick the head on and it knows exactly what to do - speed, frequency, cleansing time, it's all done for you, all you have to do it move it around the face when it beeps. Simples. Plus it's the first one that can be used on the body too. A total face and body skin pampering experience if you will. Read all the technical deats here. I can honestly say from the first go, I noticed results. My face looked squeaky clean – you know that glowing, almost shiny look? I GOT THAT! I also looked more tanned, which I put down to the fact it buffs away really dead/dull skin to reveal true radiance. During the first week I did notice a few "detox pimples", but that's testament to the Clarisonic's deep cleaning powers bring out the nasty toxins, better out than in am I right? After two weeks of using this every other day I feel like I've had a skin transformation. 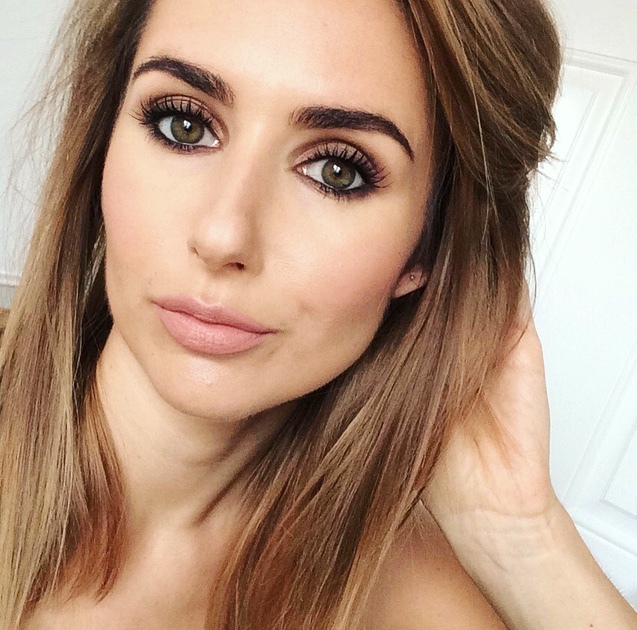 My favourite base, bareMinerals Complexion rescue, keeps my skin well hydrated and glowy, but lately it's been seriously lacking that lit from within luminosity. There's been a dullness that no amount of make up can conceal. This little gizmo has whizzed and whirled away the nasties to reveal new skin! Smoother, brighter, less pimpled and way more radiant skin. I'm surprised (and relieved) by how quick and easy it is to incorporate this into your skincare routine. I mean, I wasn't looking for any big commitments - cleanse, tone, moisturise is enough for me. A standard cleanse only takes 60 seconds. Simply apply your favourite cleanser to your face, pick up the devise and watch it magically swirl away all traces of make up and dead skin!It may not feel like a facial, but it definitely cleans like one. It is expensive. But how much do we spend on facials, massages, makeup and lotions and potions in that quest for better skin? Based on the results I've seen, and felt, it's the real deal! Who's in the Sonic Cleansing Club? I've been meaning to buy a clarisonic for myself but this post has just reminded me to do so! I've heard so much about it and I have super oily + acne prone skin so this might be best for me! I can honestly say my skin has never looked better. I hope it keeps it up :) The Mia looks handy because it's much smaller but the smart profile has to be the best yet. I used to be obsesses with my Clarisonic and then for some reason stopped using it, I need to fall back in love with it I think! I really really wanted to like the Clarisonic especially after how expensive it was but it burnt my skin. At first I though I had applied too much pressure but the sensitive red "carpet burn" didn't stopped until I took it out of my skincare routine altogether. I also found the "detox" phase that everyone goes through, never really ended with me. I think I trialed it for about 5 months and it wasn't until I stopped using it that I saw an improvement in my skin. Saying that, I have very dry and sensitive skin as it is. I wish I had the same result as you! The £4 Eyeshadows BETTER than MAC!